Government has assured that the Zimbabwe School Examination Council (Zimsec) will proceed as scheduled with Ordinary and Advanced Level November examinations despite demands by some sections of the education sector to suspend the sitting due to alleged inadequate preparedness caused by looming elections. 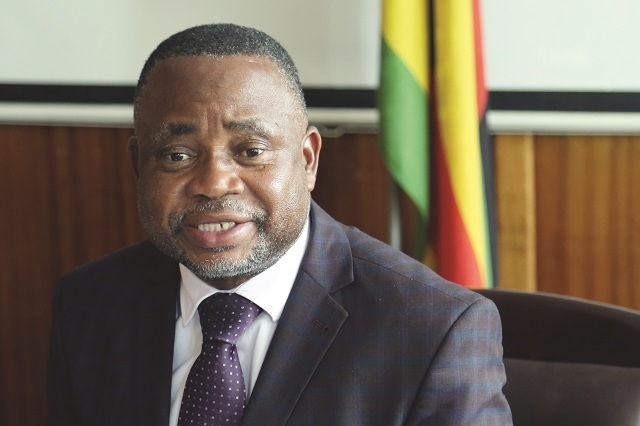 In an interview, Primary and Secondary Education Minister, Professor Paul Mavhima, said there is no need to panic as mechanisms are in place to recover lost time. Last week, Permanent Secretary in the Ministry of Primary and Secondary Education, Dr Sylvia Utete-Masango revealed that students had raised concerns to the Government requesting that the November sitting be postponed as they would not be adequately prepared as teachers would have been disturbed by the July 30 elections. Most teachers have been recruited to be polling officers during the elections and some of them have already started being trained by the Zimbabwe Electoral Commission. However, Prof Mavhima said the call was coming from retrogressive people who were bent on corrupting students by inciting them to make absurd demands from the Government. “This is not the first time we have held elections, we have been holding elections in the past but we have never suspended examinations or classes. There is definitely no reason for us to suspend examinations. These are works of mischievous people who feel they can temper around with the education sector,” he said. Prof Mavhima said all was in place to allow smooth flow of elections without hindering the school calendar. “There are mechanisms put in place to ensure that lost time is recovered. We are closing schools on 26 July and reopening a week earlier. We will also allow holiday lessons to take place as long as they are approved by the ministry. So we are doing everything to make sure that we cover up for lost time,” said Prof Mavhima. He said prior to the election, a limited number of teachers were being involved in election preparation to allow the smooth flow of the education sector. “There is an arrangement that we take at most two teachers from each school until schools are closed. We have to make sure that lessons proceed without disturbances. But when schools close we will recruit them in numbers so that they man all the polling stations. We ought to have enough manpower for the election and we use teachers among other civil servants for the process to go on smoothly,” he said.